You can export previously imported EC2 instances using the Amazon EC2 API tools. You simply specify the target instance, virtual machine file format and a destination S3 bucket, and VM Import/Export will automatically export the instance to the S3 bucket. You can then download and launch the exported VM within your on-premises virtualization infrastructure. Migrate your existing VM-based applications and workloads to Amazon EC2. Using VM Import, you can preserve the software and settings that you have configured in your existing VMs, while benefiting from running your applications and workloads in Amazon EC2. Once your applications and workloads have been imported, you can run multiple instances from the same image, and you can create Snapshots to backup your data. You can use AMI and Snapshot copy to replicate your applications and workloads around the world. You can change the instance types that your applications and workloads use as their resource requirements change. You can use CloudWatch to monitor your applications and workloads after you have imported them. 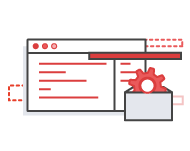 And you can take advantage of AutoScaling, Elastic Load Balancing, and all of the other Amazon Web Services to support your applications and workloads after you have migrated them to Amazon EC2. Copy your existing VM image catalog to Amazon EC2. If you use a catalog of approved VM images, a common practice in Enterprise computing environments, VM Import enables you to copy your image catalog to Amazon EC2, which will create Amazon EC2 AMIs from your VMs, which will serve as your image catalog within Amazon EC2. Your existing software, including products that you have installed like anti-virus software, intrusion detection systems, and more, can all be imported along with your VM images. 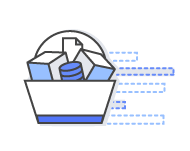 Import your on-premises VM images to Amazon EC2 for backup and disaster recovery contingencies. VM Import will store the imported images as Elastic Block Store-backed AMIs so they’re ready to launch in Amazon EC2 when you need them. In the event of a contingency, you can quickly launch your instances to preserve business continuity while simultaneously exporting them to rebuild your on-premises infrastructure. You only pay for Elastic Block Store charges until you decide to launch the instances. Once launched, you pay normal Amazon EC2 service charges for your running instances. If you choose to export your instances, you will pay normal S3 storage charges.